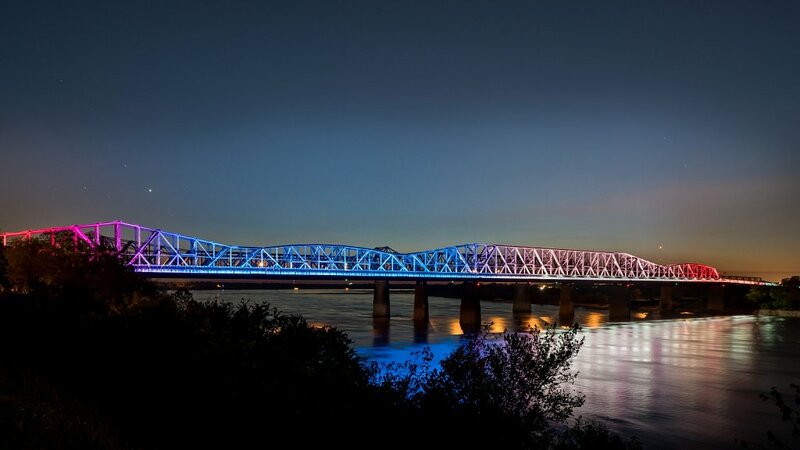 At approximately 1-mile long, Big River Crossing is the country’s longest active bike-pedestrian rail bridge and the longest public pedestrian bridge across the Mississippi River. 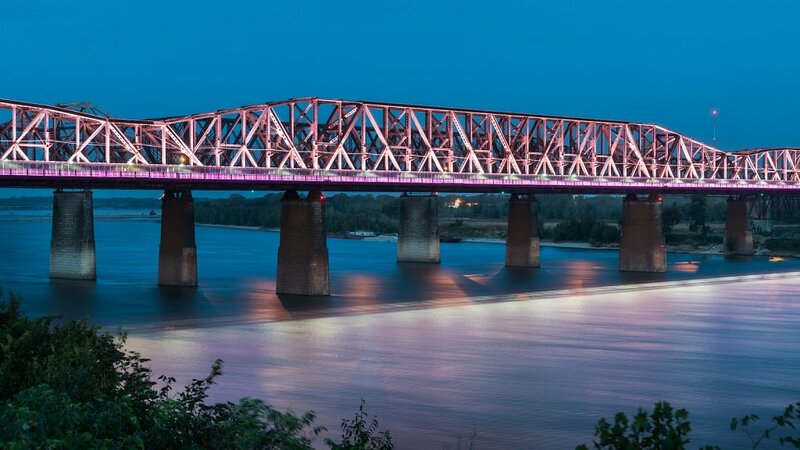 It serves as the centerpiece of Main Street to Main Street, a 10-mile multi-modal corridor between Memphis, TN and West Memphis, AR. 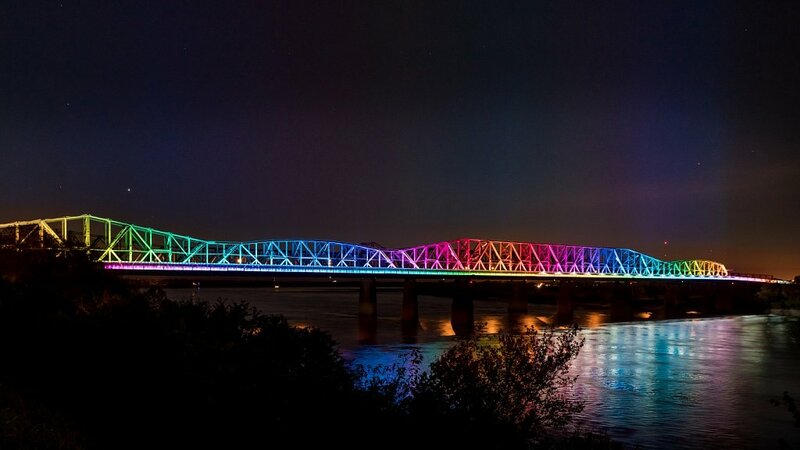 The new Philips Color Kinetics lighting installation allows the region to showcase spectacular light shows and stunning dynamic effects, creating a center of activity for the local community and visitors while enhancing the vibrant waterfront and encouraging further development. Winner of 2017 American Architecture Awards.